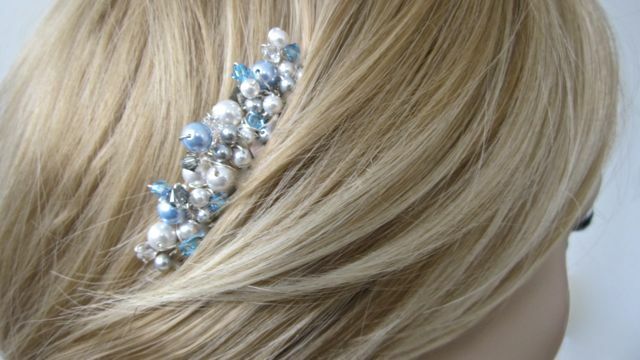 SOMETHING BLUE - HEY JULES! The Something Blue comb is ideal for those just want a touch of detail in their hair. 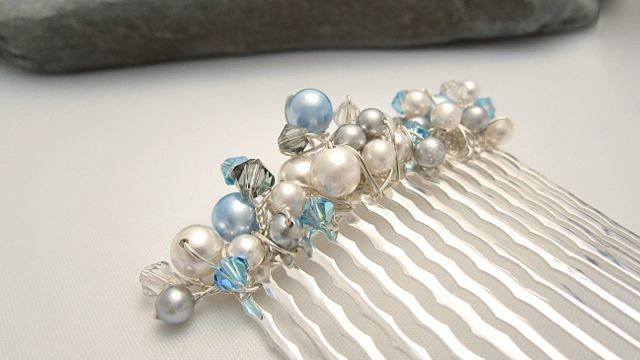 This small cluster comb features shimmering ivory, silver and blue Swarovski pearls and aqua marine and silver shades of crystals. 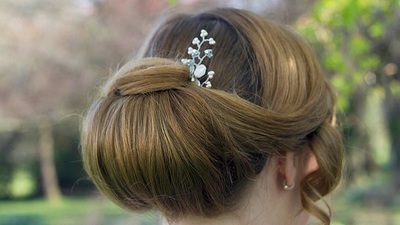 This is a small but decadant piece and is versatile enough to wear with all hairstyles. 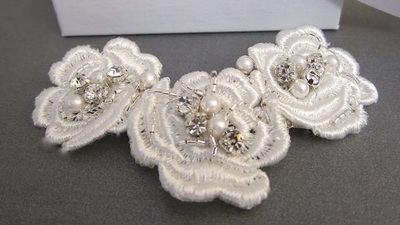 Lovely for a coastal wedding, for the bride or bridesmaids. 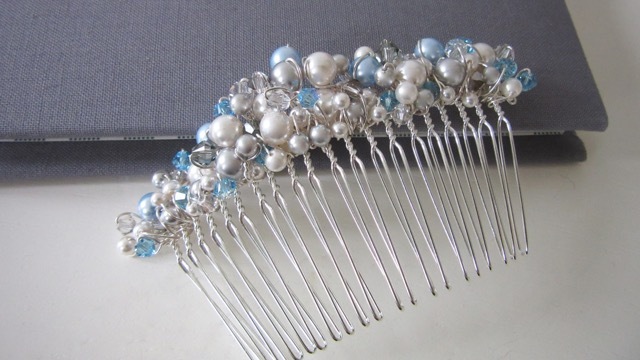 MADE TO ORDER – The Something Blue comb is custom made to order. 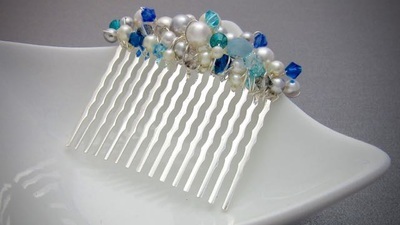 You could keep this comb neutral or add a colour to suit your theme. The Something Blue large comb is ideal if you would like a more eye-catching piece, perfect for a veil trim or worn at the side or back of the head. 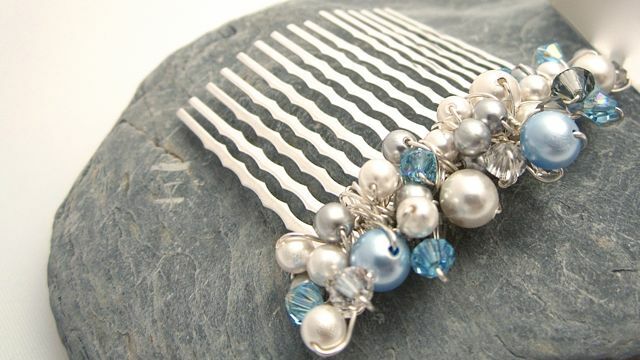 MADE TO ORDER – The Something Blue comb is custom made to order. 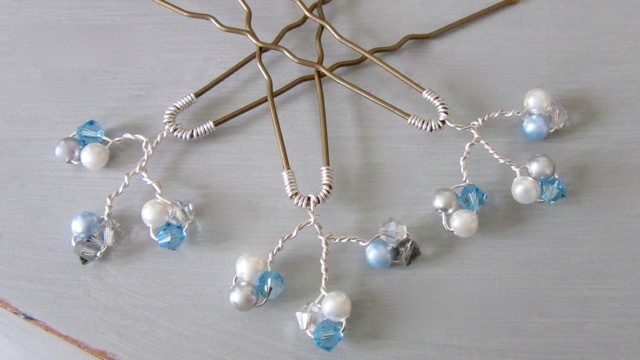 The Something Blue Hairpins are the perfect partner for either comb or worn on their own for a scattering of pretty pearls.